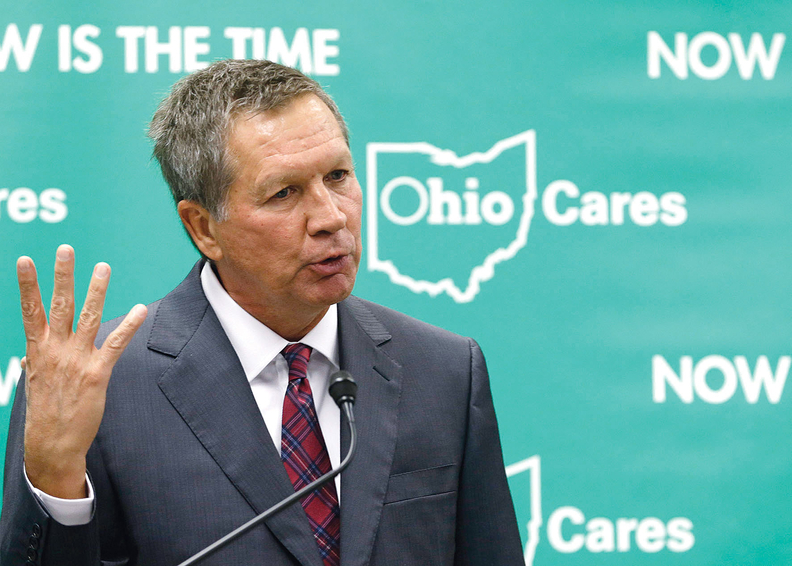 Republican governors who expanded Medicaid, led by Ohio's John Kasich (above) and Nevada's Brian Sandoval, are pushing congressional Republicans to keep the expansion and dial back the funding cuts. The Medicaid provisions of the proposed American Health Care Act, which goes to the House Budget Committee this week, would shrink federal payments to the states significantly over time, increase the uninsured rate and boost uncompensated care costs, analysts say. But, the bill going to the Senate may be driven by the most-conservative House Republicans. The three dozen members of the Freedom Caucus want to eliminate the federal Medicaid expansion at year-end, and the White House reportedly supports that. However House GOP leaders rejected that move to amend the bill. House GOP leaders hope to have a floor vote on the ACA repeal bill this week or next. And Senate Majority Leader Mitch McConnell said he wants the Senate to vote on it, perhaps without any hearings, before Congress breaks for Easter April 7.